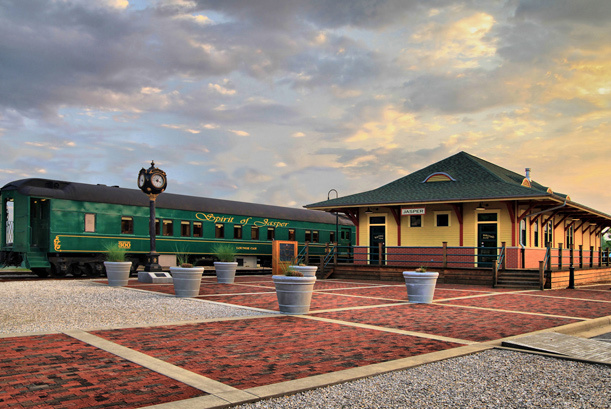 Experience the many unique and historic attractions in and around Dubois County! Enjoy this 2-day tour through the rolling hills of Dubois County where you are sure to create a memory to last a lifetime! 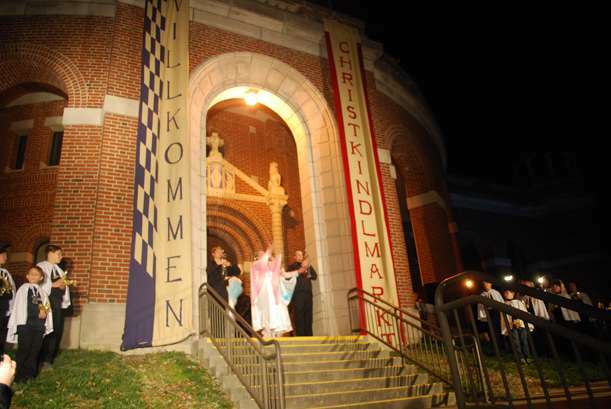 Begin your holiday festivities in Dubois County at the Christkindlmarkt. Voted a Top 100 Event by ABA in 2012. Jasper is filled with history, great food, and vitality. 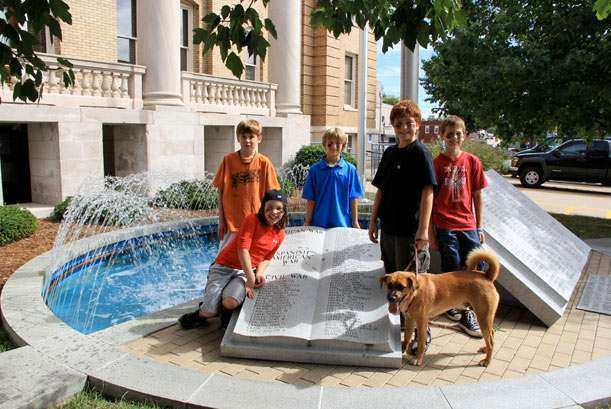 Explore the town’s heritage and create a memory that will last a lifetime. 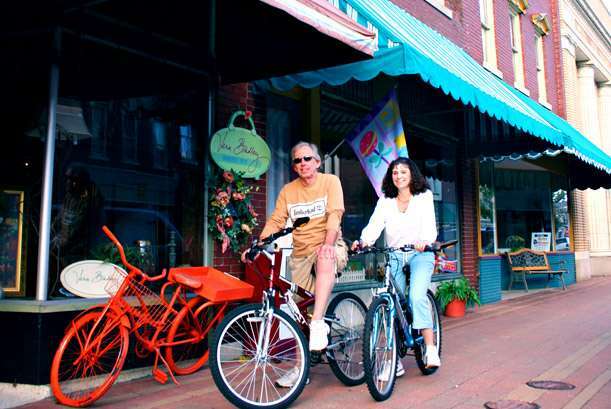 Spend the day in Huntingburg, a growing community that has been featured in films and is rich with history. Discover local heritage, historic and architectural structures, and beautiful nature in the charming town of Ferdinand and other towns close by. Remember to check out our list of events—there may be something going on that you want to be a part of. Also, other attractions are available as well—this is just one idea on how to spend a few days with your group, encompassing locations around our county. Connect to the strong work ethic of Dubois County by beginning your tour at Best Home Furnishings, one of the largest furniture manufacturing companies in the world. Learn how furniture is made from start to finish, witnessing firsthand what is involved in making some of the world’s best and uniquely-designed upholstered furniture. Next, visit the recently restored, Monastery Immaculate Conception, also known as the “Castle on the Hill” in Ferdinand. 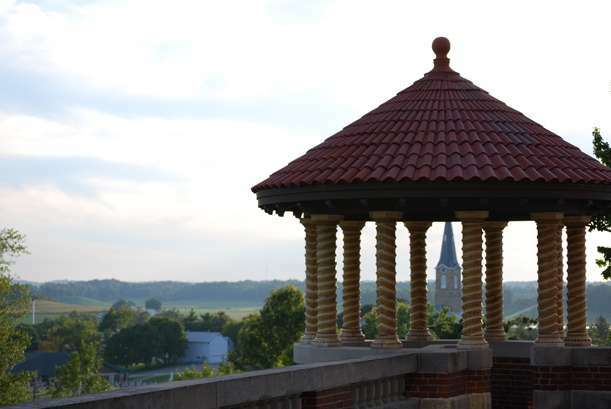 It is home to one of the largest communities of Benedictine women in the nation. Enjoy a guided tour by Sister Christine and learn the history of the majestic domed church. Don’t forget to browse the gift shop where you can find “Simply Divine” bakery items and other great gift ideas! Enjoy lunch at Soup n’ Such at the historic Wollenman Home, where Tammy, owner and chef prepares entrees along with homemade soups and sandwiches, desserts and breads, a true southern Indiana hospitality. Following lunch, sit back and enjoy Dr. Ted’s Musical Marvels. Mary Kay, your cheerful guide, will take you on a delightful tour showcasing a magnificent collection of restored mechanical musical instruments, including nickelodeons, street organs, and player pianos. Visit the Jasper Downtown Shopping District and the area around the square. This beautiful area of Jasper is filled with vitality, history, and a variety of shops. Sturm’s Hardware around the square is one of the oldest hardware stores in Indiana and listed in the National Register of Historic Places. Clothing stores, boutiques, home décor shops, furniture, and more available. Be sure to grab some ice cream, fudge, or chocolates from Chocolate Bliss or Libby’s Gourmet Ice Cream. Make your way north to Tour West Baden Springs National Historic Landmark, formerly dubbed the “Eighth Wonder of the World”. A once thriving resort and spa during the 1920’s, the hotel housed a Jesuit seminary and private college after the stock market crash of 1929. Vacant since 1983, the property has undergone an exciting transformation and is back in full operation. Also tour the French Lick Resort & Casino. The resort has been brought back to its original charm and decadence through detailed renovation, restoration and an extreme passion to refurbish the past. For lunch visit the French Lick Winery and taste premium wines while enjoying Italian-American cuisine. After lunch head to Amish Country to an authentic Amish restaurant, bakery, hotel, and various shops. Continue your tour with stops at the Amish Callar Shop, Raber’s Buggy Shop, Wagler’s Quilt Shop, and the Red Barn, then finish with buffet-style dining at the Gasthof Restaurant, serving up some of the best Amish homemade foods in Southern Indiana. Start the day with a tour of beautiful Patoka Lake, Indiana’s second largest reservoir. Enjoy a scenic cruise aboard the Patoka Voyager to learn about the interesting history of the lake as you look for signs of the abundant wildlife including Bald Eagles and Osprey which may even be sitting on their nests. After your boat ride, enjoy the scenic views as your travel to St. Meinrad Archabbey, home to Benedicting monks that offers beautiful architecture as well as a peaceful retreat. Peruse the Abbey Press Gift Shop for the perfect inspirational gift. If your group chooses, join the monks for prayer and lunch. After lunch travel to Lincoln Boyhood National Memorial & Living Historic Farm where you will learn about the boyhood years of Abraham Lincoln with a tour of the visitor’s center, see the burial place of Lincoln’s mother, and stop at the living history farm where harvesting and farming still take place on the same fields as Abe and his father farmed years ago. Then, enjoy entertainment at the Lincoln Amphitheatre at one of the many performances that takes place throughout the year. For a complete list of group tour options, click here! Patoka Lake is Southern Indiana’s #1 recreation area. Enjoy this 2 day tour through the rolling hills of Dubois County where you are sure to create a memory to last a lifetime! Remember to check out our list of events—there may be something going on that you want to be a part of. Also, this is just one idea on how to spend your time in Dubois County – there are many other attractions to see as well! Your tour begins with a visit to the Dubois County Museum, one of the largest county museums in the state of Indiana. It showcases the rich German heritage and history of Dubois County, its German immigrants, and other interesting facts. Enjoy lunch at The Mill House, built in 1947, featuring homemade soups, barbeque specialties, and desserts. After lunch, see the workings of the Jasper City Mill, recently built to resemble the former mill that once stook along the Patoka River. Before enjoying the evening festivities, a visit to our “Faithful Watchman over Jasper”, St. Joseph Church, is necessary. The beautiful 1880 Romanesque old-world church is listed on the National Register of Historic Places and features priceless German stained glass windows, Austrian designed mosaics, and marble statues. After learning about our German heritage, go aboard the “Spirit of Jasper” Train for a Ride & Dine Excursion. Ride in style on beautifully renovated, climate-controlled lounge cars complete with restrooms and comfortable seating. Each car is exquisitely decorated and maintains its own unique design and ambiance. Enjoy the scenic countryside while dinner is served by The Schnitzelbank, a Southern Indiana premier German Restaurant serving authentic German entrees. Day two begins with a tour of Best Home Furnishings, one of the largest furniture manufacturing companies in the world. Learn how furniture is made from start to finish, witnessing first hand what is involved in making some of the world’s best and uniquely-designed upholstered furniture. Next, visit the recently restored, Monastery Immaculate Conception, also known as the “Castle on the Hill” in Ferdinand. It is home to one of the largest communities of Benedictine women in the nation. Enjoy a guided tour by Sister Christine and learn the history of the majestic domed church. Don’t forget to browse “For Heaven’s Sake” gift shopwhere you can find “Simply Divine” bakery items and other great gift ideas! Enjoy lunch at Harvest Moon Bed & Breakfast, where Ruthie, owner and chef prepares entrees along with homemade soups and sandwhiches, desserts and breads, a true southern Indiana hospitality. Following lunch, sit back and enjoy Dr. Ted’s Musical Marvels. Millie, your cheerful guide will take you on a delightful tour showcasing a magnificent collection of restored mechanical musical instruments, including nickelodeons, orchestrions, street organs, and player pianos. Your tour begins with a visit to the Dubois County Museum, one of the largest county museums in the state of Indiana. 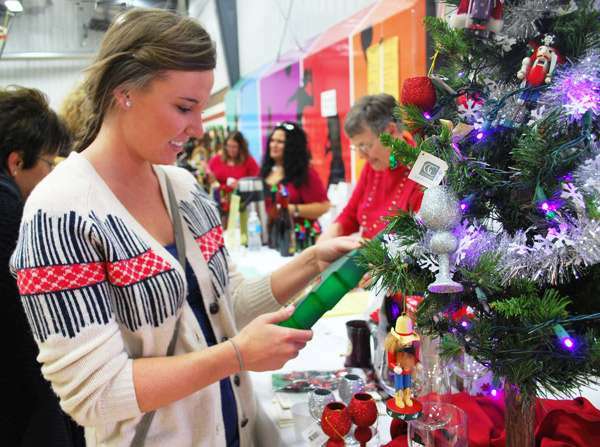 It showcases the rich German heritage and history of Dubois County and during the Christmas season offers a collection of over 1,500 santas and a Christmas Tree collection decorated by local decor shops. Begin your holiday shopping spree in the Downtown Jasper Shopping District, where you will find a variety of decor, clothing and other specialty shops around the square. Eat lunch at one of the places located near the square. Enjoy the day partaking in festival events! Browse over 100 bavarian shopping stalls and take a FREE tour of the Monastery Immaculate Conception, home to one of the nation’s largest communitiies of Benedictine women. Also, enjoy entertainment including a Marionette Theater, live glockenspiel, celebration singers concert and other live entertainment throughout the day!! Oh and don’t forget about the great food booths and wine tasting! Remember to check out our list of events—there may be something going on that you want to be a part of. Also, other attractions are available as well—this is just one idea on how to spend your day in Jasper. If you are just going to be here for one day, you may want to look over the day in Dubois County itinerary to encompass even more things in a short time. Start your day right with a quick breakfast at a café such as Azura’s Café or Winkler’s Natural Food Store for some great muffins and their expresso bar. For a heartier breakfast, Dad’s Diner, Shoney’s, and Denny’s are well known for their selection (for a complete listing of restaurants, click here). After breakfast, tour the St. Joseph Catholic Church. Designated as the “Faithful Watchman over Jasper”, St. Joseph Church is an 1880 Romanesque old-world church listed on the National Register of Historic Places. Priceless German stained glass windows, Austrian designed mosaics with 50 million stones, and marble statues are just a few of the details that make this historic landmark a truly heavenly place. Behind the church explore the Grottos at the Providence Home. If you want to experience history first hand you won’t want to miss out on The Dubois County Museum, a German heritage cultural center and one of the largest county museums in Indiana, featuring early settler history, religious history, sports memorabilia, its very own life-size log cabin, antique farm machinery, murals covering the walls, a train room with a unique setup of model trains, a play area for children, and a main street that showcases old-time shops and history. Enjoy lunch at one of our unique eateries in Jasper (for a complete listing of restaurants, click here). A wide selection is available including ethnic cuisine, small deli’s, local pubs, and home-style restaurants. A lunch or supper favorite of Jasper is southern Indiana’s premier German restaurant, the Schnitzelbank, winner of Indiana’s super sandwich competition during Superbowl XLVI. Visit the Jasper Downtown Shopping District and the area around the square. This beautiful area of Jasper is filled with vitality, history, and a variety of shops. Be sure to not forget some homemade fudge or other desserts from Chocolate Bliss. Tour the Jasper City Mill that has been recently constructed to resemble the former mill that once stood near the Patoka River, watch the workings of the waterwheel, browse the gift shop and embrace the serenity of the Patoka River while relaxing at the plaza/rest area. Afterwards, take a walk on the 2.1 mile paved path of the Jasper Riverwalk. Dedicated to the sport of baseball and its Indiana heroes, the Indiana Baseball Hall of Fame, located on the Vincennes University Jasper Campus, showcases memorabilia from high school, collegiate and professional athletes throughout the Hoosier State. Located across this facility, delight in the variety of artwork on display at the Krempp Art Gallery. Enjoy one of the many performances by area musicians at the Jasper Arts Center. You may also enjoy a backstage (pre-arranged) meal while being entertained. Please check current performance listings before visiting, but also note that special entertainment can be arranged. Also, entertainment is sometimes available at local facilities and bars and taverns. Give us a call, if you have any questions. Remember to check out our list of events—there may be something going on that you want to be a part of. After breakfast, travel to Charles C. Niehaus Memorial Park and have fun at the driving range. Explore this nice scenic area. If it’s hot and humid, cool off at Huntingburg Municipal Pool located in Huntingburg City Park. Enjoy lunch at one of the unique eateries, many of which are located on Huntingburg Historic 4th Street (for a complete listing of restaurants, click here). Consider Old School Sports Café, Fat & Sassy’s, or one of the local pub’s which offer great lunch and dinner options. Stop for a tour at historic Huntingburg League Stadium, built in 1894, and renovated in the early 1990’s. It is the site of the motion-picture film, “A League of Their Own”, featuring Tom Hanks, Madonna, Geena Davis, and Rosie O’Donnell. Original advertisements from the film still remain along the outfield fence. The Stadium also starred in the HBO movie, “Soul of the Game.” Finish the evening rooting for the Dubois County Bombers collegiate baseball team as they play on this legendary field in retro uniforms reminisce of the era showcased in the film “A League of Their Own.” One of the Rockford Peaches beer girls in uniform replicas from the movie will be happy to fill your drink order. Also, many local facilities and bars supply entertainment at times. Call us for more information. Remember to check out our list of events—there may be something going on that you want to be a part of. Also, other attractions are available as well—this is just one idea on how to spend your day in Ferdinand. If you are just going to be here for one day, you may want to look over the day in Dubois County itinerary to encompass even more things in a short time. After enjoying breakfast at one of the local eateries, explore nature at the Ferdinand State Forest, one of the most beautiful forest lakes in the state. This 7,640 acre area includes primitive camping, picnic areas, shelter houses, grills, playground, fishing, hiking, boating, a swimming beach, and more. Between mid-April through October rent a canoe or rowboat and enjoy a morning on the lake (you could even pack a lunch and cooler and have lunch while experiencing the scenic beauty). Another option as opposed to packing a lunch would be to eat at one of the great local eateries and pubs in this charming town—many of which are located right off main street. Tour Ferdinand’s Monastery Immaculate Conception, known as the “Castle on the Hill” and home to one of the nation’s largest communities of Benedictine women. Experience the sisters’ serene lifestyle with a guided tour of the recently restored majestic domed church and Lourdes Grotto, then browse “For Heaven’s Sake” gift shop for great gift ideas. Stop by local shops such as Tin Lizzie’s, House of Flowers, Ferdinand Antique Emporium, Horseman’s Paradise, Hilgeman’s Antiques, and All-Star Sports for some great shopping. Only a 15 minute drive, tour Saint Meinrad Archabbey. Founded in 1854 by monks of the Abbey of Einsiedeln in Switzerland, the Saint Meinrad Archabbey is one of only two Archabbeys in the United States. Today, more than 135 monks of the community live by the Rule of St. Benedict, and with the motto Ora et Labora (To Pray and To Work). Only minutes away from St. Meinrad Archabbey, tour and taste at Monkey Hollow Winery. Monkey Hollow Winery is a family owned and operated winery nestled in the rolling hills of Southern Indiana. Enjoy a complimentary tasting of their award winning wines and browse their selection of locally made arts and crafts. After everyone has their fair share of wine, continue south and have dinner at New Boston Tavern (17 miles from Ferdinand). A favorite of Southern Indiana, New Boston Tavern has great steaks and more to enjoy. If you want to stay more locally in Ferdinand, there are many other options to enjoy as well (click here for a complete listing of restaurants).